The new Telefonica O2 UK Headquarters is a 110,000 sq. ft. purpose build project that will link to the existing Bath Road, creating a 200,000 sq. ft. site. The building has been designed with the environment very much in mind by reducing solar gain and energy consumption. The feature staircase to the central reception area has no support from columns and is supported only by the connections to the floor slab. 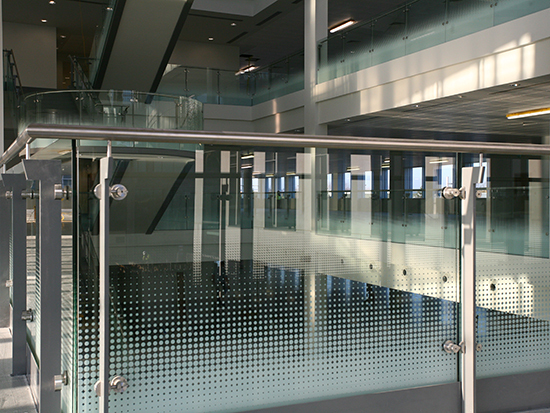 A structural glass balustrade was provided over two floor levels to match the feature stairs. Kite Glass was selected to supply the glass for this prestigious project, as the glass used was required to go through a technically challenging process of screen printing onto laminated curved glass. 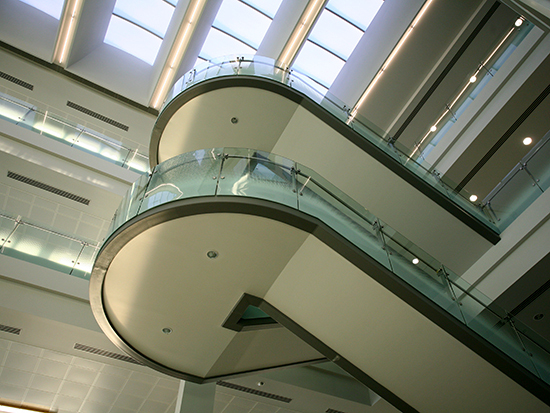 The development also included steel to glass laminating.